The last time I was completely dismissive of a fight, Matt Serra defeated Georges St. Pierre to become the welterweight champion. I’m trying not to make the same mistake twice but I don’t see many avenues where Alexander Gustafsson finds victory against Jon Jones at UFC 165 in Toronto. The UFC hyped this fight on the notion that Jones is fighting someone who is just as big and has the same monstrous reach. Like most tall fighters in MMA, Gustafsson doesn’t use his reach that often. Jones is the master of this particular skill and has been ridiculous effective with it. Jon Jones has the opportunity to break the all-time record for light heavyweight title defenses and is currently tied with Tito Ortiz. I’m surprised the UFC is not making a bigger deal about this? Is the milestone too expected to be achieved or is their legitimate criticism in the list of fighters Jones has run over? If you compare his run to Tito Ortiz’s tenure as champion, they’ve both traveled a similar path. They defeated the top Brazilian fighters of their era to win the title in Wanderlei Silva and Shogun Rua. In their fifth title defense, they steamrolled opposition who had more box office appeal than legitimate contender status in Ken Shamrock and Chael Sonnen. Tito, whose bread and butter was his wrestling, lost the belt in his sixth defense due to being out wrestled by a better wrestler in Randy Couture. By definition, Gustafsson is a better boxer than Jones and due to his reach, has the opportunity to secede where so many have failed in tagging Jones on the chin. If the logic behind Gustafsson’s reach proves to be a factor, this will be the first time Jones will have to deal with taking multiple shots to the face. Then, the question becomes, can “Bones” take multiple punches since the last time he took a punch of any significance was in the only round he has ever lost against Loyto Machida in 2011. The problem is Jon Jones’ overall striking is faster and more dynamic. 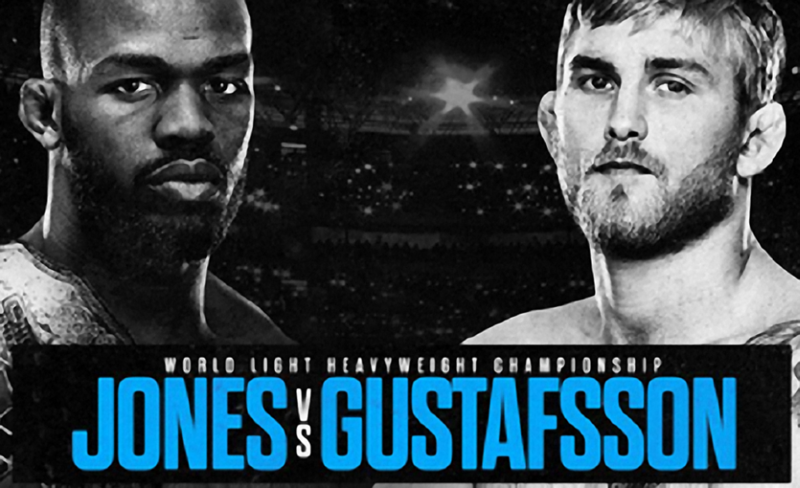 Even if Gustafsson has success with his fists, Jones will immediately take him down and work him over with lethal mixture of elbows and punches and break the light heavyweight record. Prediction: Jon Jones via TKO due to Ground & Pound in the 3rd Round. ‹ Channeling My Inner Vince McMahon with an Independent Show.